Three years ago, I woke up on a Sunday morning to a flurry of Facebook messages all referring to something mysterious to me but obvious to others. 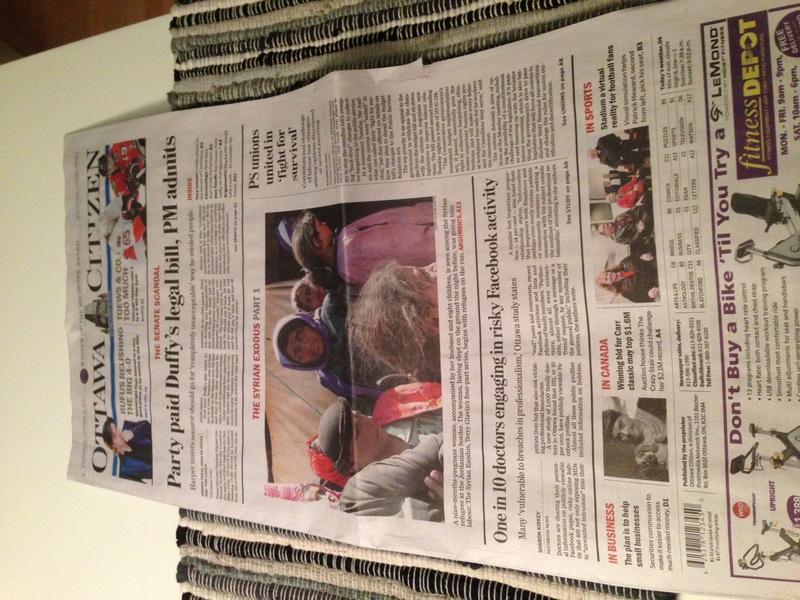 The most intriguing message asked, “Were you elected Prime Minister last night?” The only hint I was given was to go buy a copy of The Ottawa Citizen, this city’s major newspaper. The story was based upon an interview I had done with reporter Sharon Kirkey. The story was then syndicated globally, and I enjoyed a brief spurt of international media attention and a flurry of subsequent interviews with reporters around the world. These past few weeks, another study of mine, “Family Physicians’ Sharing of Personal Information on Facebook“, co-authored by Dr Kamila Premji, got some more media attention. First, I wrote about it for the website of the Knowledge Mobilization Institute. Then I wrote a similar piece for The Huffington Post. Then, the Canadian Medical Association mentioned our study on their website, and tweeted about it. The very next day, Sharon’s article featuring our interview appeared in several syndicated papers: The Ottawa Citizen, The Star Phoenix, The Calgary Herald, The Montreal Gazette, The Leader-Post, The Vancouver Sun, and Canada.com. A little bit of transient academic fame is nice. Now let’s see if it manifests as greater interest in the science!